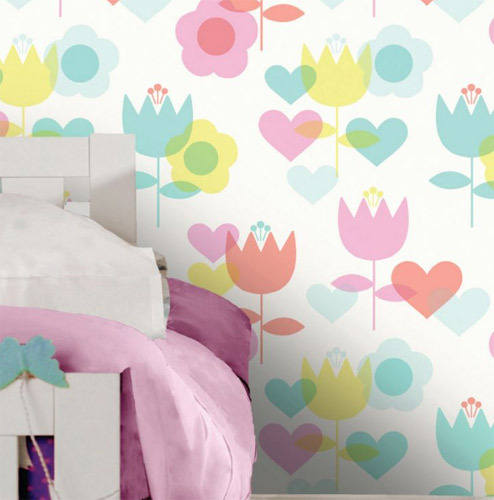 If you want the nursery (or kid’s room) to look like something out of the 1970s, then this Kaylee floral wallpaper at B&Q should be worth a look. 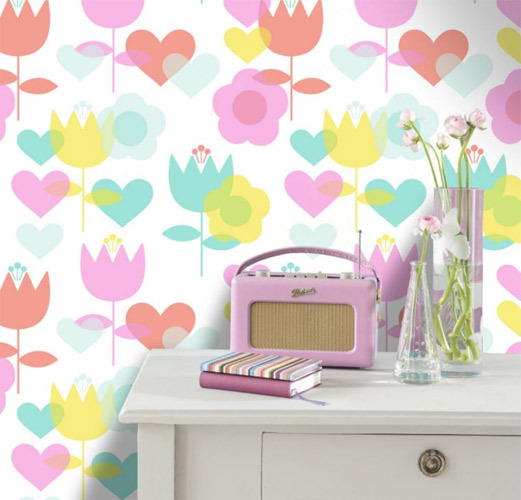 It’s an affordable wall covering from the DIY specialists, with a bright and colourful retro design that should bring the darkest spaces to life. Rolls are 10m x 53cm and come in at a very reasonable £9 each.